So I just had my first major birthday party, complete with a campfire, roasting marshmallows and night bushwalks. So much cleaning up to do, including retrieving a phonebook from a tree (? ), but worth it. 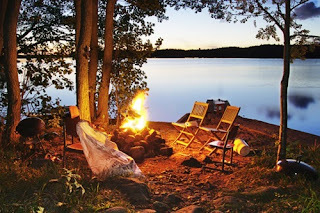 I didn't take any blog-worthy photos, so I made a polyvore of some of the must-have campfire buys. It will make you want to get out your guitar and flashlight. Flashlight? Torch! Haha, you are a true american pez! I love the collage, the clothes are gorgeous sweater! Is that the bonfire in the background? Because it's awesome! Sounds like a lot of fun... i love campfires! such cute picks love the shorts! yummy! 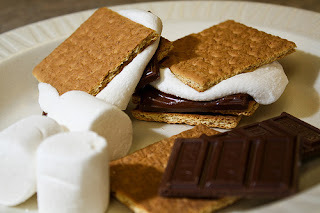 i love smores! <3 i would go camping jus for that haha!